My new favourite theme right now is the Yosembiance theme from noobslab. Below is a screenshot of my terminal after having installed the theme. As you can see, it keeps the rounded corners of the Ambiance theme, and an orange highlight when you mouse-over items, but this has a darker top window handle and right-click menu. I don't know if there is a bug with the scroller on the right. I think that may be due to me having tweaked some of my other settings. 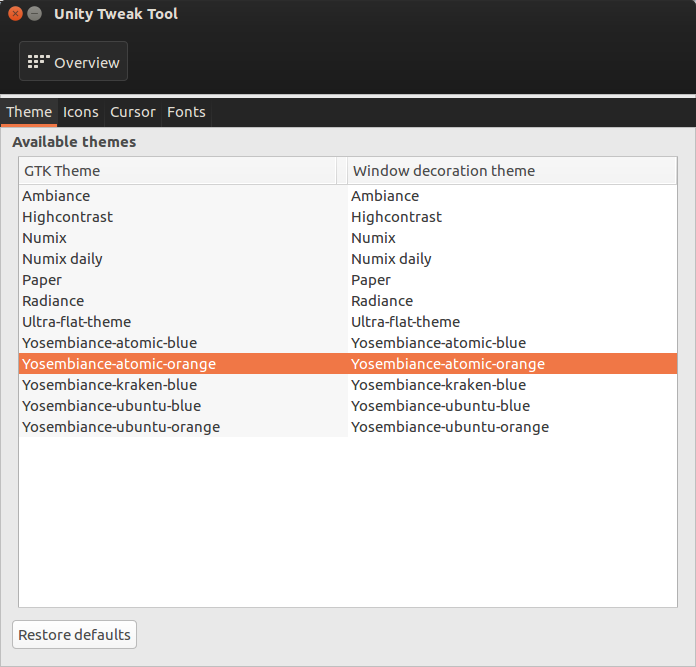 Then open the tweak tool and select one of the Yosembiance themes. There are 4 variations, with the change being between a blue/orange mouse-over and the darkness of the title bar.